Updated at 16:00, October 7, 2017: ASUS has released the official pricing of some of its motherboards. As of October 6, All these motherboards are already available at all ASUS authorized resellers and shops. All of ASUS' motherboards come with a three year warranty. 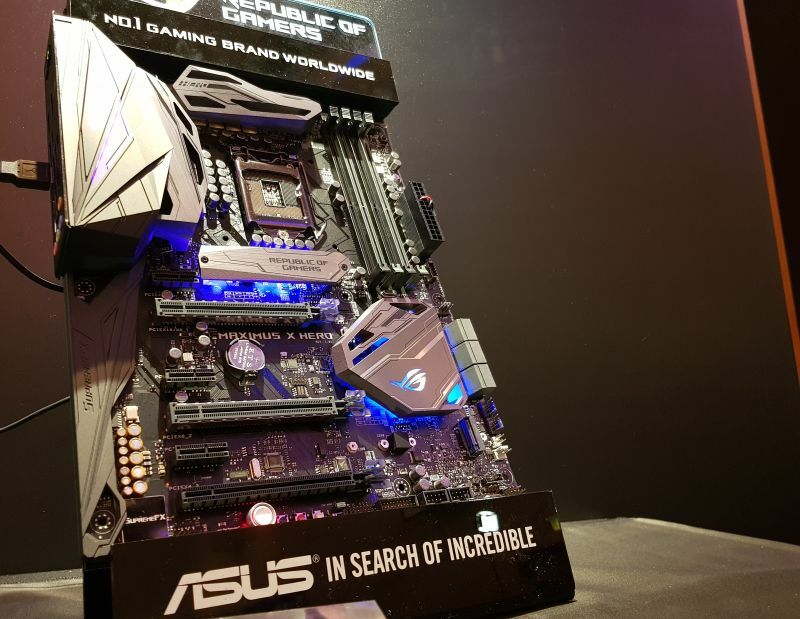 Earlier this week, ASUS unveiled its new lineup of Z370 motherboards that were made to cater to Intel’s new 8th generation Coffee Lake CPUs. The successor to the Intel Z270 chipset that was announced during CES 2017 at the beginning of the year, the new Z370 motherboards are pretty much mirrors of its predecessors, save for the obvious change of support for Intel’s new 4-cores Core i3s, as well as its new 6-cores Core i5 and i7 CPUs. 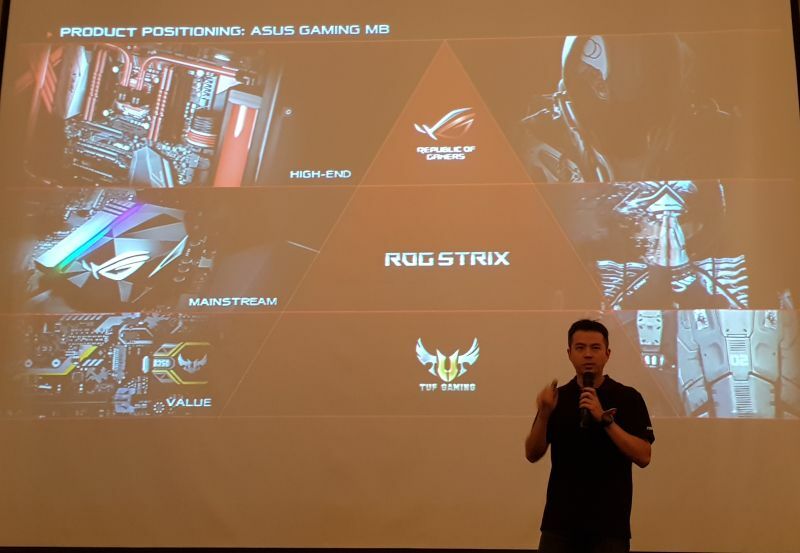 This time round, though, ASUS actually laid out the motherboard hierarchy to us. 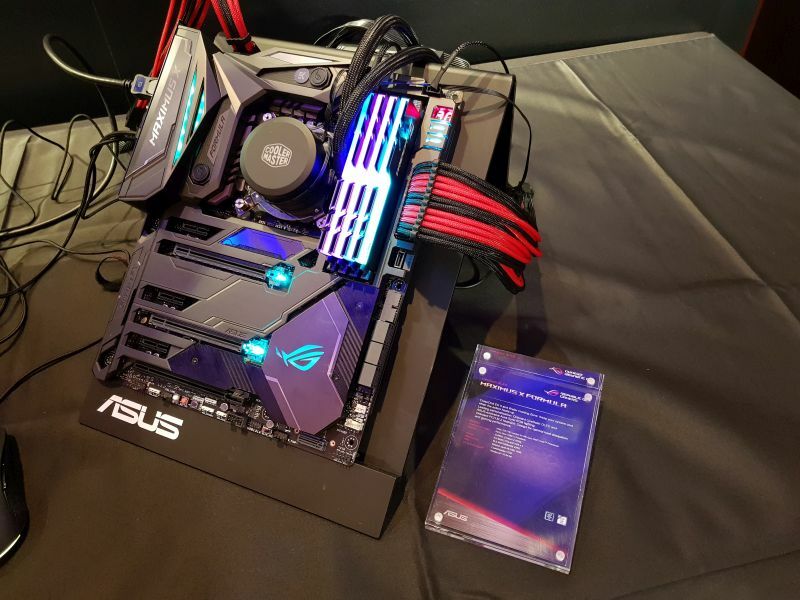 For the high-end gaming enthusiasts, the company (obviously) had its Z370 ROG sub-brand and its accompanying variants, such as the Maximus X Apex, Maximum X Hero, and Maximum X Formula. ASUS’ ROG Maximus X motherboards may differ from each other in design and some small features, but they also share similar features, such as the M.2 heatsinks, LiveDash OLED, and the presence of a pre-mounted I/O shield. More than just gamers, The ROG Maximus X series is also geared towards the enthusiast overclockers that are look for motherboards able to withstand a lot punishment and also capable of channeling a stable, steady voltage stream to the CPU, as well as to and around motherboard itself. 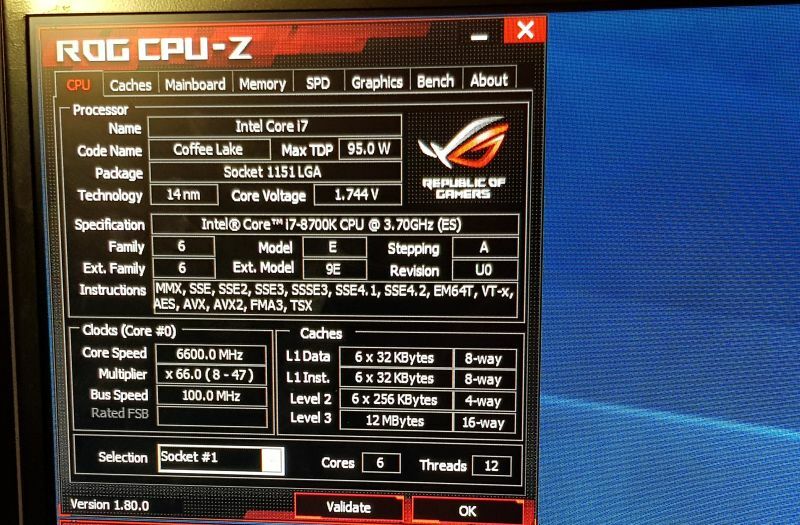 On that note, it should be pointed out that the ROG Maximus X Apex was the motherboard used when an overclocker broke the overclocking record of 7.3GHz on Intel’s top-range 8th generation Core i7-8700K. 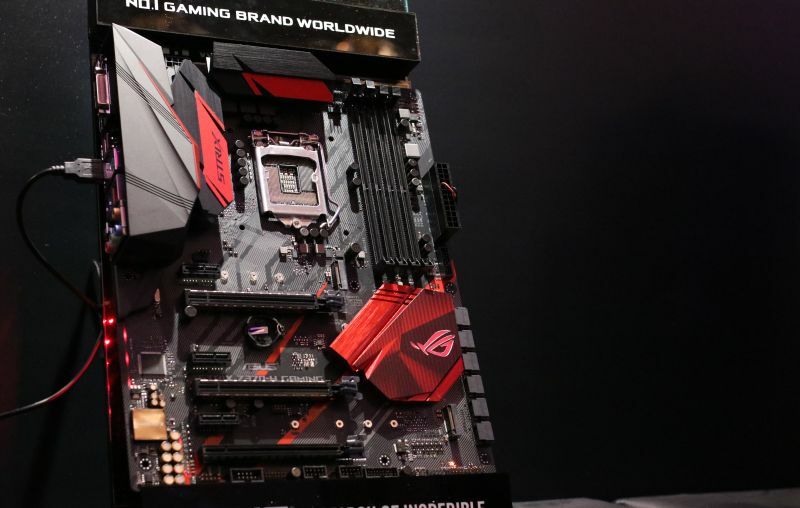 Next in its product positioning was ASUS’ ROG Strix series motherboards, but surprisingly, the company didn’t actually show or talk at length about this segment. Beyond the mere mention that it was catered towards the more mainstream gamers (by mainstream, ASUS was referring to the throngs of gamers enamored by MOBA titles, such as Dota 2 or LoL). 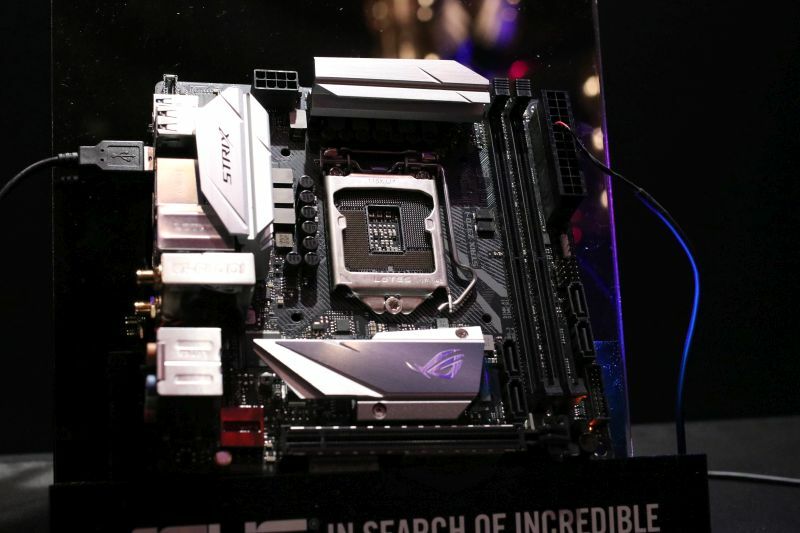 Despite that, they did happen to have a couple of ROG Strix motherboards on display during the technical seminar. 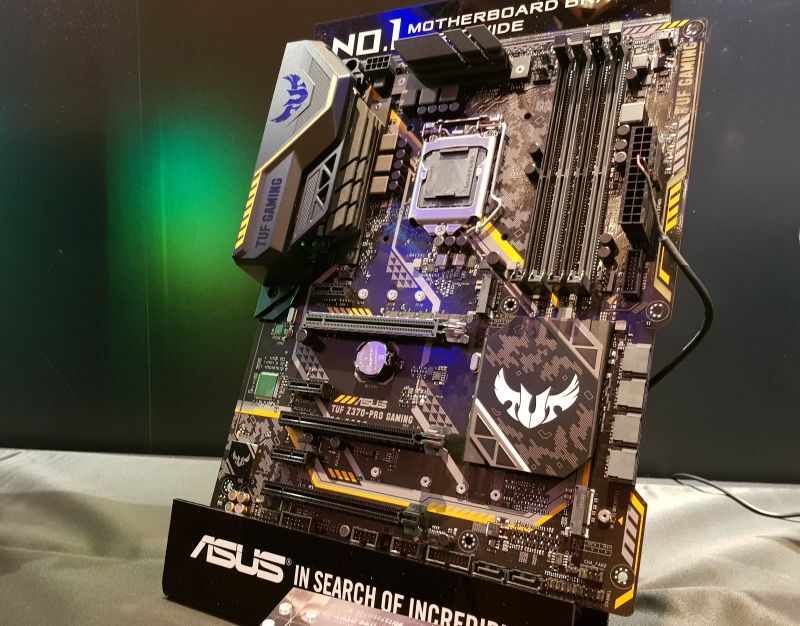 That out of the way, ASUS shifted its focus towards its TUF (The Ultimate Force) series motherboard, the segment that (surprisingly) was described as the company’s new rebranded entry-level gaming motherboards. 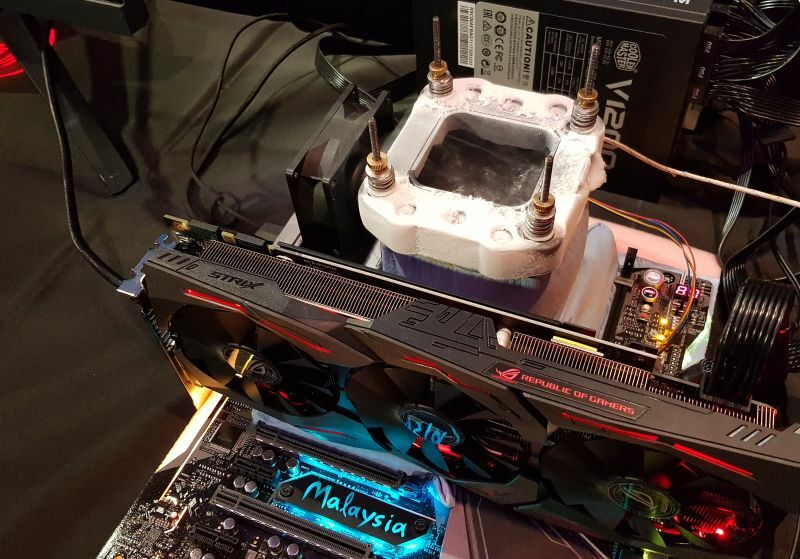 Introduced during the session was the TUF Z370-Plus Gaming and TUF Z370-Pro Gaming. Like all TUF motherboards, the new TUF Z370 motherboards feature military-grade transistors, capacitors and a variety of other components. Likewise, it also bears the same TUF durability standard hallmark that the series was always known for. 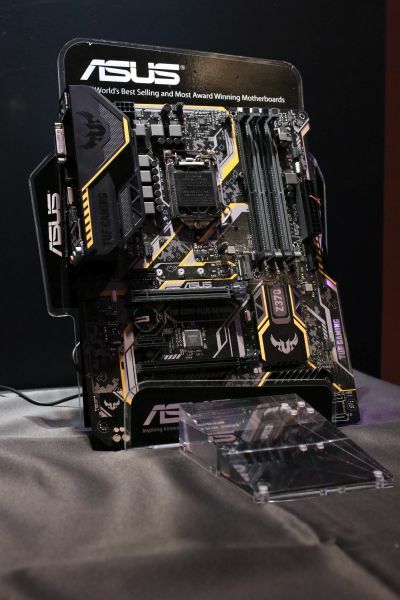 Additionally, the new TUF motherboards also sports ASUS’ TUF Gaming Audio engine. Naturally, all the motherboards that were on display are outfitted with ASUS’s Aura Sync LED, so yes, all the motherboards will glow the colors of the rainbow. At the time of writing, ASUS did not provide any official pricing, but considering the fact that Intel’s Coffee Lake CPUs are launching pretty soon, rest assured, ASUS will let the cat out of the bag on pricing in due time. For more from ASUS, follow us here.